This Friday through Sunday The Growlerie will be hosting their second anniversary party. 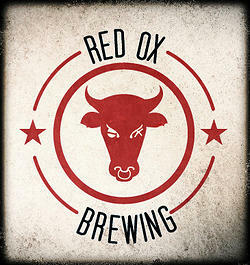 To celebrate, owner Jamie Agidius has collaborated with Red Ox Brewing for a special release beer, Bing on the Cherry Porter. Jamie likes to promote local breweries at in his store. So, when the opportunity to collaborate with local nano brewery Red Ox, he jumped at the chance. Bringing 40 lbs. of Bing Cherries from his families farm, Agidius Orchard in The Dalles. Using the Red Ox 1.5 barrel brewing system, 3 kegs of this cherry porter were brewed and will probably disappear very fast. The first keg starts tapping this Friday at 4:30 PM with the official Anniversary Party kicking off on Sunday. There will be drawings for brewery swag as well at tons of giveaways. The Growlerie is kid friendly until 7 and will feature a Robbie Laws concert from 6 to 9. Robbie is a regular at the Portland Blues Festival. This weekends starts with the below taplist with others replacing them when empty. Also ciders from Jester and Judge, 2 Towns and Blue Mountain.